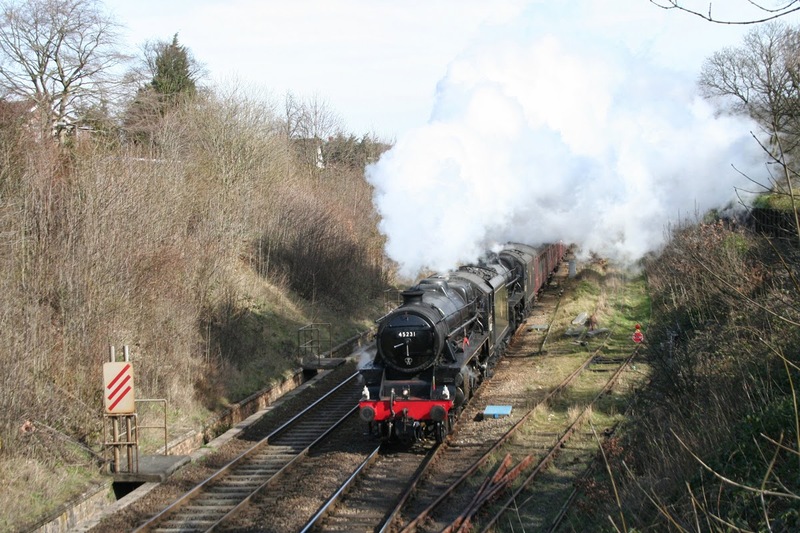 At last The Railway Touring Company have managed to run The Buxton Spa Express on Saturday 15th March 2014. Originally scheduled to run from London Euston to Buxton via the WCML to Bletchley, the Marston Vale Line to Bedford, MML to Kettering, Corby, Melton Mowbray, Erewash Valley, Hope Valley and Peak Forest to Buxton with 70013 Oliver Cromwell on 6th. April, last year. Due to gauging and pathing issues this was postponed to 25th. May, postponed again to 30th. May due to engineering work, postponed to 27th June as Oliver Cromwell was not available and finally cancelled due to engineering work. Determined to succeed Nigel Dobbing included The Buxton Spa Express to run in his 2014 programme, to the same itinerary. However, as the weeks went by the gremlins again came out forcing a number of changes. Engineering work on the WCML brought a change to start at Ealing Broadway and run via West London, Acton Main Line, Dudding Hill to join the MML at Brent Curve Junction and as the original itinerary. 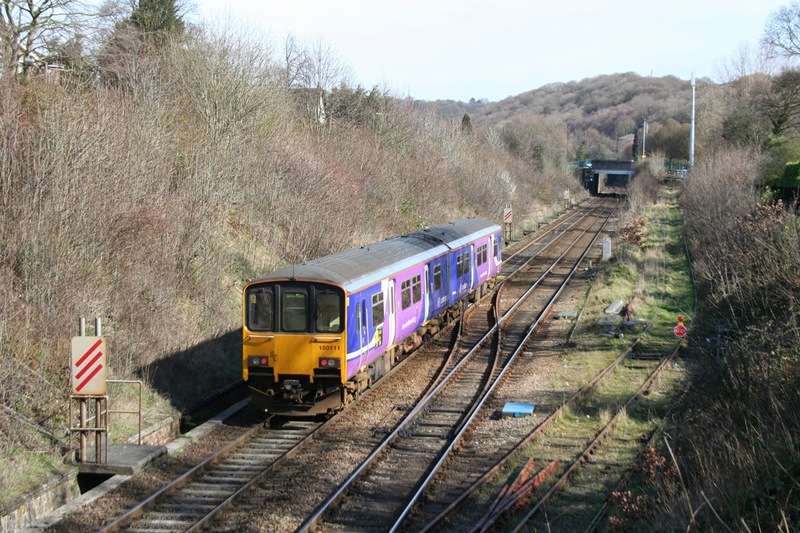 The next route change as a result of gauging issues was to run via Chinley, Guide Bridge, Denton and Stockport to Buxton. In the event 70013 Oliver Cromwell was not available and a pair of Black 5s was substituted in the form of Bert Hitchen's 45231 and Ian Riley's 44871. 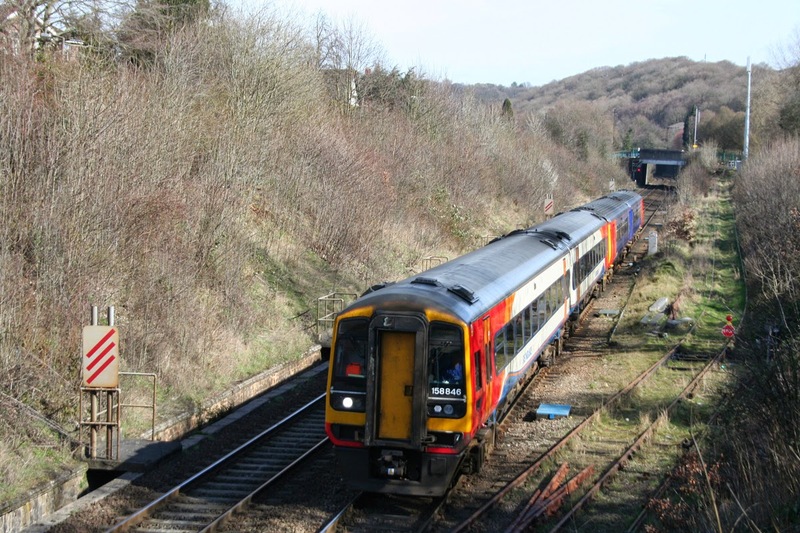 At least this meant that the route via Peak Forest was available again. The return from Buxton was diesel hauled by 47580 via Peak Forest, Chinley, Marple, Guide Bridge, Denton, Stockport, Macclesfield, Stoke-on-Trent, Nuneaton, Leicester, Melton Mowbray and as outward. 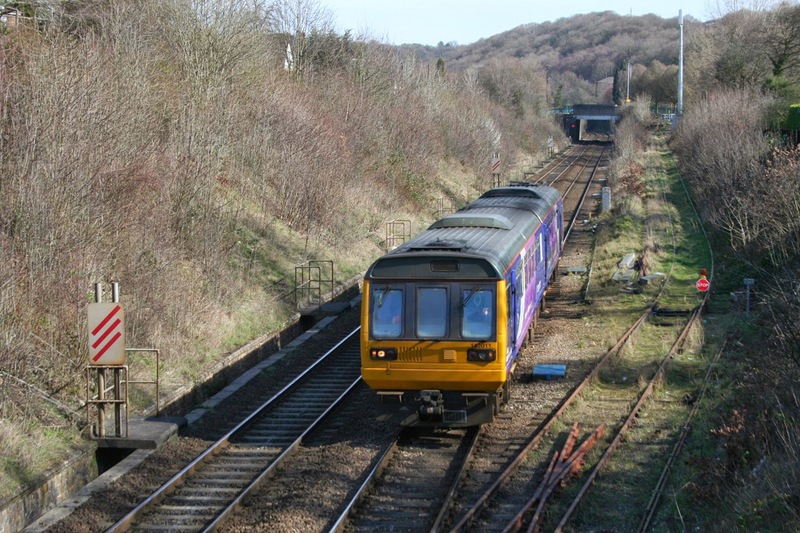 The pair are seen approaching Totley Tunnel East. And whilst waiting patiently for the 'Express', our man on the spot (Paul Beardsley), or rather the bridge, exercised his 'Box Brownie' and captured three scheduled diesels near to Totley Tunnel East. These were in class order 142011 on the 1114 Sheffield to Manchester, 150111 on the 1045 Manchester to Sheffield and 158846 and 156414 on the 0757 Norwich to Liverpool.